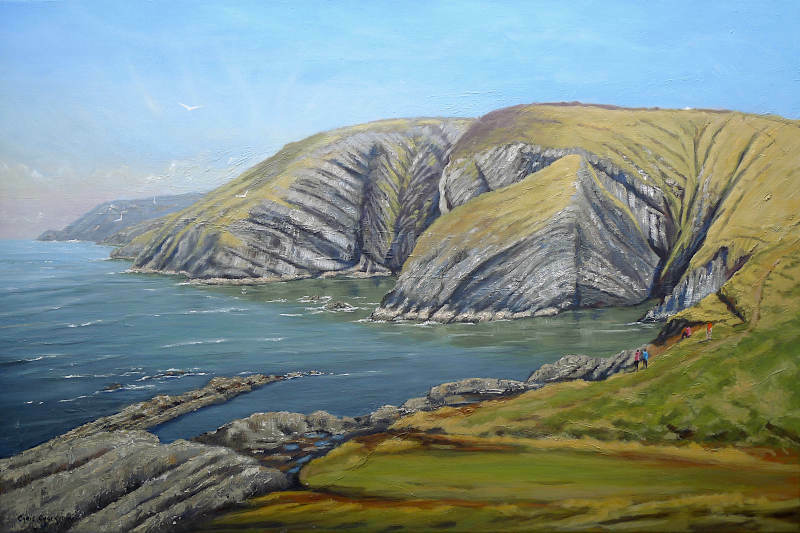 A Ceibwr Bay painting, with it fascinating folding rock structures and rugged cliffs tops. The Sea Pinks ( the pink flowers, also knows as Thrift ) are abundant at Ceibwr, and one can often see Choughs ( are a rare member of the crow family ) foraging in amongst the flowers and on the grassy slopes. 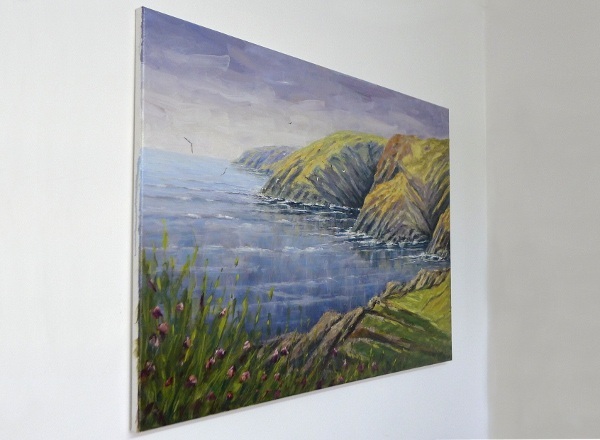 "Sea Pinks at Ceibwr Bay"
Painted on Loxley Gold stretched canvas, 36 inch x 24 inch x 1/3 inch - This painting can be framed, or hung un-framed as shown.